Matt Dwyer, Principal at GreenSlate Development, has 10 years of experience at the ownership level in construction and manufacturing. His primary focus is on investment sales, new development and redevelopment projects. He began working on the nearly vacant Blackstone District with Jay Lund in 2012, and has since helped to redevelop 6 properties within the district, with eyes set on more in the future. 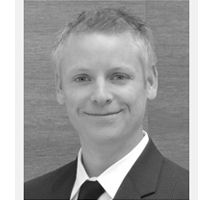 Matt studied English at the University of Nebraska at Lincoln and is a licensed Real Estate Salesperson in Nebraska. As an active member of his Omaha community, Matt currently sits on the Board of Directors for CUES Omaha as well as the Holy Name School Advisory Committee. In his spare time he coaches Little League baseball and enjoys traveling.